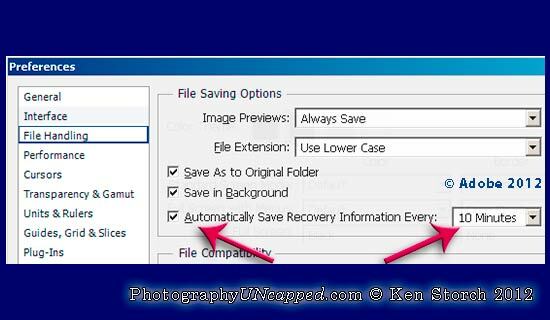 The New Photoshop CS6 Beta (Free Download) has the ability to Automatically Save Recovery Information. In other words, Photoshop CS6 will now save copies of your working documents in case of a crash, failure, power outage, etc. The just released Photoshop CS6 Public Beta reveals that CS6 finally has the capability to Auto-Save File Information. This means that Photoshop can recover files lost due to a ‘Save’ failure or system error. The next time that Photoshop is launched, the file/s will be recovered from the last ‘Auto-Saved’ state. Hooray! 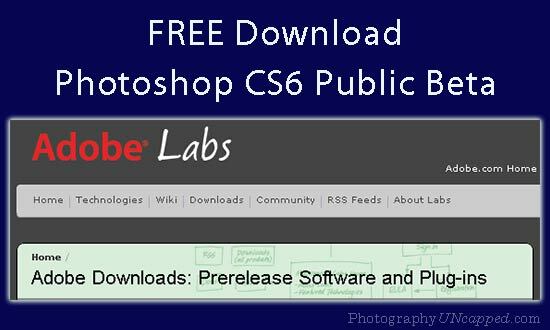 Optional Plugins for Adobe Photoshop CS6 – Free Downloads What Is Adobe’s Upgrade Policy for CS6? Can I get the Upgrade?